The 2018 Chevrolet Silverado 3500HD launches with a bold and explosive entrance. It’s the largest truck that Chevrolet makes, which ranks them one step over the 2500HD. You can choose the rear-wheel drive as a standard, but if you have heavier use applications, you may want to go with the optional all-wheel drive. The 2018 Chevrolet Silverado 3500HD near Chicago IL comes in three cab styles, and you can choose two different bed lengths. This is a great vehicle for anyone who needs a work vehicle to handle the big and heavy jobs. In terms of exterior colors, you can choose Havana Metallic, Cajun Red Tintcoat and Iridescent Pearl Tricoat. If you choose the Iridescent Pearl Tricoat, however, it will only be available with the crew cab. In the 2018 Chevrolet Silverado 3500HD near Chicago IL, the first thing we notice with this vehicle is a new grille mesh design with the Z71 and the High Country. You also have a two-bar chrome trim with revised 4X4 and Z71 graphics. If you’re looking for a strong vehicle, this one can haul as much as 7,153 pounds when you have equipped it properly. 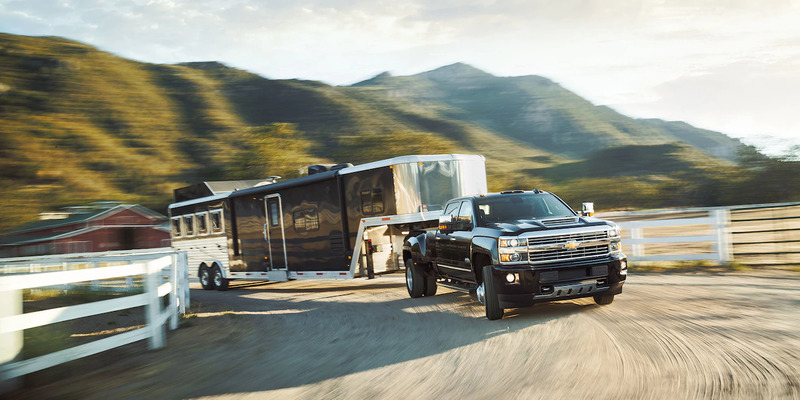 In addition, the 2018 Chevrolet Silverado 3500HD at Libertyville Chevrolet can tow as much as 23,300 pounds. You have plenty of power to haul the payloads and trailers needed without running into obstacles. Visit our dealership serving Chicago Libertyville Illinois, and we will give you a tour of this brilliant vehicle. The interior depends on the trim chosen, but you can pick out a cloth or leather upholstery, and you can even put in heated or cooled seating. It depends on what you want in a vehicle. 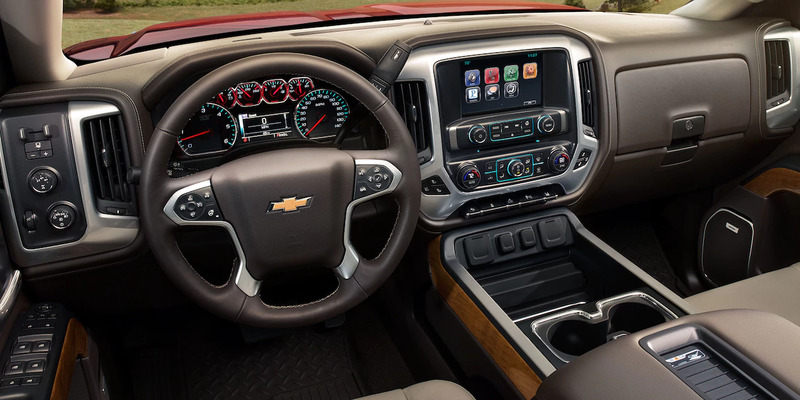 If you want to know what the interior resembles, we’d compare this vehicle to the smaller Silverado 1500. The build quality and user-friendly infotainment system add more to it. In terms of ride comfort, you have a firm ride, but it’s improved since the last generation of heavy-duty trucks. Even before the power upgrade and optional diesel engine, the 2500HD came packed with power. 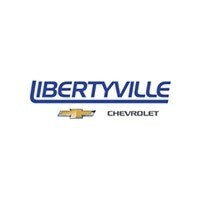 Libertyville Chevrolet can help you decide on the vehicle for you. The technology of the 2018 Chevrolet Silverado 3500HD near Chicago IL brings you up to date with some of the latest driving technology. First, you have a rearview camera, Apple CarPlay and Android Auto integration and 60/40 split folding rear seats. You also have 4G LTE connectivity, a 3.5-inch display screen and an 8.0-inch infotainment system. In addition, you have a Bose premium audio system and a heated steering wheel to keep your hands warm on those cold and breezy days. You also have Bluetooth connectivity. The 2018 Chevrolet Silverado 3500HD lets you choose from two different engines. You can either pick the 6.0-liter V8 with 360 horsepower, or you can choose the V8 with 445 horsepower which uses a turbo-diesel engine for greater power. If you decide to go with the diesel engine instead, it will tack on an extra $10,000 to the price tag. You can pair both of the engines up with a six-speed automatic transmission. As a standard feature, you can choose to go with rear-wheel drive, but you can also upgrade to four-wheel drive if needed. For example, if you plan to drive through snow a lot, driving with all-wheel drive can power you through it more easily. Come check us out, and we will give you a look under the hood. We are serving Chicago Libertyville Illinois, and we’d love the opportunity to demonstrate this technology to you. 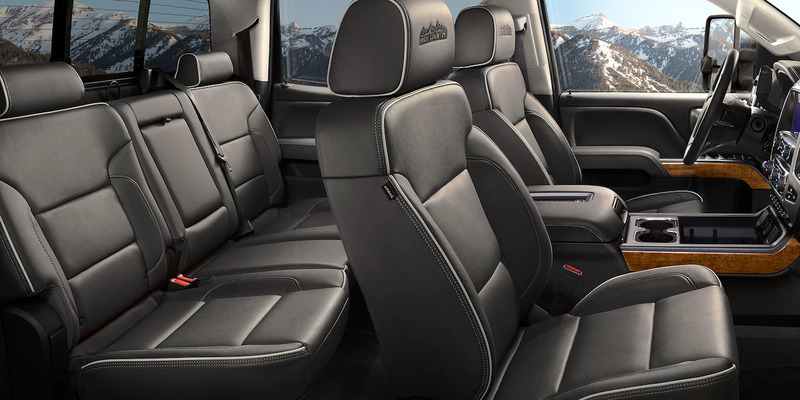 If you select the higher trim level of the Silverado 3500HD, you can go with the Driver Alert package. This adds some excellent technology to your vehicle to keep you safe while working. For example, you have a lane departure warning system, forward collision warning system and a safety alert seat. You will also have parking sensors. We are serving Chicago Libertyville Illinois, and we’d love the opportunity to work with you. This is an excellent vehicle with plenty of power for accelerating and getting you to finish the tough jobs. 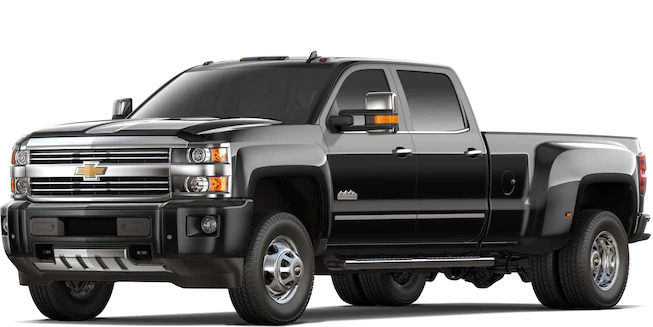 We are in Libertyville Chevrolet, and we can help you to decide if this is the best truck for you. When you work with us, our sales representatives will listen deeply to your needs. The 3500HD is a great work vehicle. Perhaps you don’t need that level of power. If so, you could also choose the 2500HD or the 1500. The difference in these vehicles is the engine size and what it was intended for. For example, the 1500 was more intended more for casual work while the 3500HD is a dedicated work truck that will finish any job as it arises. One of the interesting facts about this vehicle is how it has many of the same powertrain options and underpinnings as the GMC Sierra. This becomes especially true if you were to go with the Denali trim. With this vehicle, you have two bed lengths, three cab styles and either a dual rear wheel or single configuration. We will roll you through a checklist and inform you on the latest details of this vehicle when you visit us. For those who think a new vehicle is out of the question, we invite you to come check us out. We will look at all your options before giving up all hope. Call today!